The tutorial will be a mix of text documents, still images, and videos(to come). It is intended for a beginner. I personally own a Brother PE 700 machine, and it is what I will be using in all the videos, but much of the information in this tutorial is generic and will apply to any single needle embroidery machine. There is a lot to learn about machine embroidery—so it will be a while before we get to the actual sewing. What do you need besides the embroidery machine? Several things, many of them come in with the machine, but there are other things that you must provide your self. List of the things I think are useful. A sewing table. I like the idea of a table devoted to your machine. You are more likely to practice a little every day if your machine is always set up and ready to go. Bobbins.. Some might come with your machine, but extras are always useful. I like pre-filled ones-- but I also have a spool of embroider machine bobbin thread. 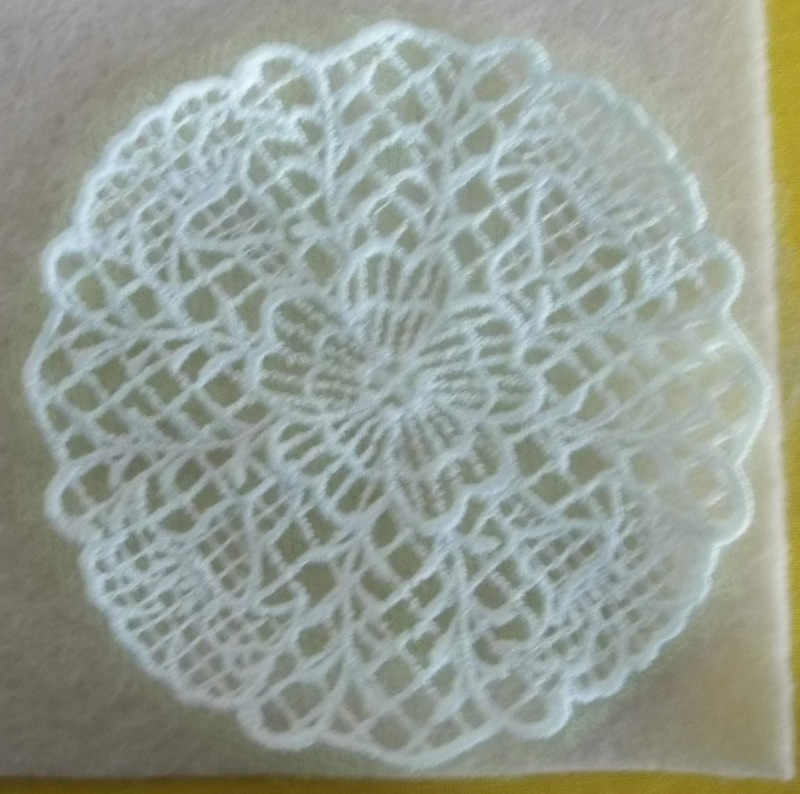 I tend to use white bobbin thread (and black) more often that matching colors.. but matching colors are a nice touch for lace like embroideries. 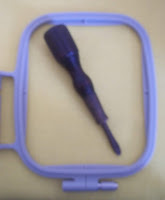 A screw driver. I like a small (but not a stubby!) one-- Useful for tightening the screws on the hoop. You can just use the stubby one that comes with your machine.. but I like a larger one, too. It is much more comfortable in my hand. A good light. I always liked good light for sewing, but as I have gotten older, it has become a nessessity. I have 2 lights—one Ott type, (but not Ott brand) flex arm light, and one white light LED desk lamp. A goose neck lamp is another option. Extra embroidery needles A new sharp needle will often solve a host of small problems! Stabilizers.. There are several dozen different kinds of stablizers-Try a few different kinds, and weight-At first, just buy a selection—as you go on, you'll learn which ones are your favorites. Spray fabric adhesive... Tacky is a must, permenent is good to have, too. A tweezer.. is great for pulling up loose threads.. I started using tweezers with my standard sewing machine, and now it is just second nature. Threads. While you can embroider with standard thread, Specialized embroidery thread is so much better. It is finer gauge, glossier, with richer colors.. I suggest buying an assortment. I have found that on line suppliers often provide a a better value. A case for the threads, or a spool rack (or 2!) (I quickly went from 3 spools of thread, to almost 100 as I learned) I bought 1 set of 63 colors (about 55 cent per spool!) and other single spools of colors I use a lot. I had some spools from doing simple pattern/fancy stitches on my standard sewing machine. Blanks---that is, something to embroider! Blanks don't have to be new stuff—you can practice embroidering towels you own—be it hand towels, tea towels, pool towels. Same goes for sheets and pillow cases—you'll want to have a bit of practice before you start working on expensive, specially bought blanks. Fat quarters are good blanks, too. I use them for samplers. Extra Hoops—Especially if you are interested in doing applique. Avery “dots” these are a real help in centering a design. A ruler—6 inch? 12 inch? Maybe both! Erasable/disappearing fabric marker pens.. a permenent markers too is useful. A note book. Useful for keeping track of what you have learned, and details and changes you've made to a project... Also good for planning projects and keeping track of ideas.My next post is about some project ideas I have collected. Your idea list might be totally different—but it is still good to have a list! This list is a good start—You don't need everything at once, but chances are you will find you'll enjoy yourself and sewing more with these tools. Other handy tools include a cutting matt, and quilting grids. I already had these, and I find them helpful. You can figure on spending $100 to $150 for supplies in the first 6 months Double that if you need to buy a table. . In my area, (Queens NY) there are several large sewing machine centers that provide lessons. Classes (depending on the subject) cost between $55 to $150—many note that the cost of supplies are not included. Whether you deside on a course of self teaching, or plan to take classes, you'll need materials to practice with—Buying on sale, or on-line or with coupons is a good policy. You can take lessons, and buy materials for the lessons in the store, (at a full mark-up). Or you can begin to buy and stock up on the needed supplies when you find them on sale. One of my local sewing centers provides a good discount on machine threads when you buy in bulk, (15 or more spools) but On-line sources are cheaper still. Jo Anne's isn't generally cheaper than my sewing center, but it does offer coupons—and it has better sales. It is always a case of Time and money. It is cheaper to buy one or two items here or there with coupons or sales, but it is easier and quicker(if more expensive) to make a list and do some one stop shopping. For me, I almost always go the cheaper way. Cutting and copying the list and adding to the memo app in your phone is a good way to keep track of what you need, and what you have. At first glance, using the machine is easy, and I started doing embroideries with in minutes of unpacking the machine—You can too, PROVIDE you are familiar with any standard sewing machine. The simple basics of threading the top thread, filling and loading the bobbin are so similar to a standard sewing machine, learning these skills are a snap. Selecting a pattern to embroider, is pretty easy, too. Hooping some fabric, is not dissimilar to hooping fabric for hand embroidery. The biggest difference is the use of stabilizer. But if you have done home sewing, (clothing) and used a Pellon stabilizer for collars, cuffs, waist bands or facing—you are well on your way to using a stabilizer with embroidery. Machine embroidery has a greater selection of stabilizers –but there are a lot of similarities. If you have no experience, (or limited) with a standard sewing machine, and with making clothes, It will take you a bit longer to become familiar with the machine basics. But things are easier than they were on my first machine. The thread path is outlined, and numbered, so it is easier to follow. le . But with just a single read through of the manual, I was able to make a practice design (One now uses as my ativar on FB,)and to make a patch , (sewn on a dress) by embroidering a patch on a scrap, and then turning the embroidered patch into a pocket that got sewn on a dress. I wonder what percentage of sewers never do anything more than simple uses like this? 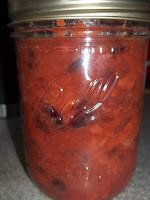 One short tutorial I watched, (6 lessons in less than 60 minutes) mentioned making a sampler. 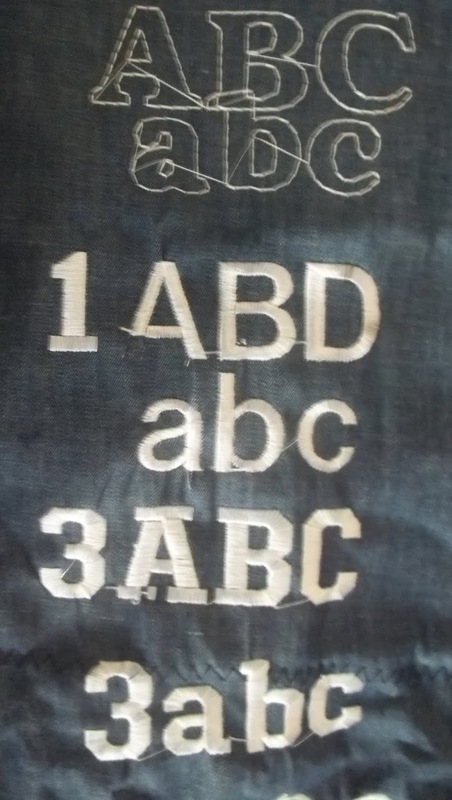 Samplers are pretty common for hand embroidery. There are also a good way to learn about machine embroidery. BUT--Being me, I rushed in to working on a sampler. I made lots of mistakes, But I learned a lot! 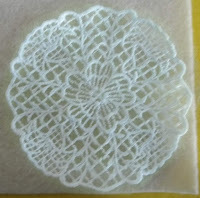 If you are new to machine embroidery, I do recommend a sample. An organized, methodical sampler is likely best.. My sampler, (I see my myself making a second one, and perhaps even a third!) is not methodical... It is not yet complete, but already I have learned a lot (and made a lot of mistakes along the way.) But if you are like me, you can still learn a lot by just rushing in. The claim was a $300 + Value. (I would say about half of the designa are things I will never use—but...and the files all had to opened to be previewed. The booklet of sample of the different stabilizers, I first wrote off as useless—but.. I was wrong about that it just took a few weeks for me to realize that it is a valuable tool—and remember, I was familiar with stabilizers for home sewing! The machine manual starts with 6 pre-loaded alphabets—Each alphabet set has: Capitals and lower case, numbers, symbols, (pretty much what you find on a standard keyboard. Some include a bunch of accented letters, as found in spanish, french, and other foreign languages. Not all the alphabets have all of the same selections, but the selection of characters is extensive. (and I have since learned, the set come in a default size (shown) but can be enlarged and compacted. Being able to change the size is a useful feature. Next, there are “frames” circles, square, diamond, heart, rectangle, oval and some others (I don't have the manual in front of me as I am writing. ) --Correction--4 more frames—2 shield shapes, a stop sign (octagon) and a column. (the rectangle is sort of horizontal, the column is vertical) . The frames can be expanded (to about 4 X 4 inches) and shrunk to about 1 X1 inch. 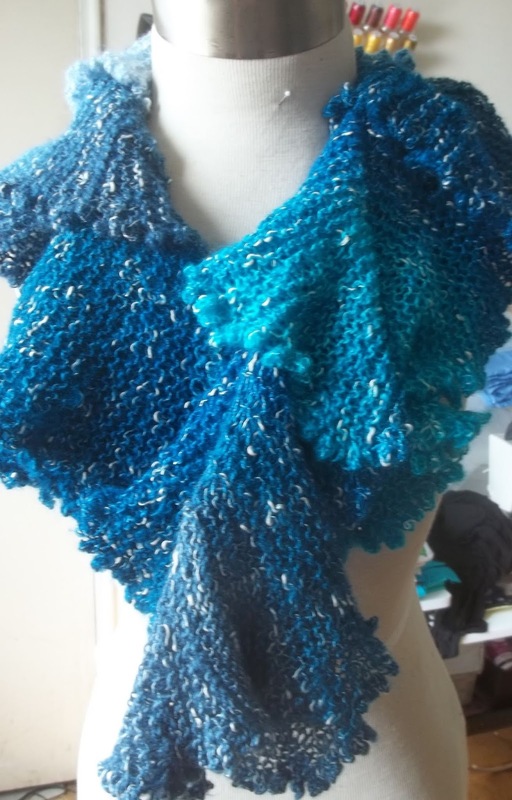 It is really easy to be seduced by all the designs avail –I think I have too many! So be a miser when it comes to buying designs until you have mastered your machine. Finally there is a simple alphabet of lovely cursive script—this alphabet is capitals only—and good for simple monograms. To start my first sampler, I used a scrap (about the size of a fat quarter) and the mid wight tear away, stabilizer that came as a bonus with the machine. 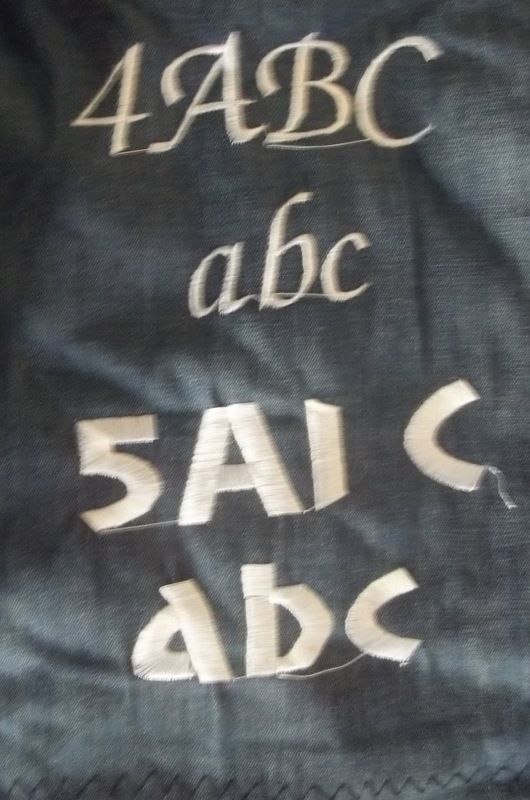 The scrap fabric was a light weight denim. I started in one corner of the fabric, hooped it and selected ABC, (and abc) and started working. I had read the manual, but—I was more interested in seeing the size of the letters, so I just plowed on. (so font1 features a leg less letter A.) and I didn't check my selection—so I got a ABD not an ABC. So 2 things I learned—1) double check your work before you start, and 2) I needed to learn how to deal with errors as they occurred. A third thing I sort of knew but hadn't thought about:placement. My machine, (all machines?) will place the design (by default) in the center of the hoop. When it came to making the lower case abc of font 2, I again just guessed... and the accender of the b overlapped the B. Still before this, I really had no idea what size the default alphabets were. So, while not perfect—I was learning. I plowed on. I was learning things—1) what the alphabets generally looked like, and the size, and 2) I needed to add a note book to my sewing room to keep track of the changes I was making, Guessing is OK for this sampler, which is a learning tool, but I would learn more if I kept notes! Next I went to work on the Frames. 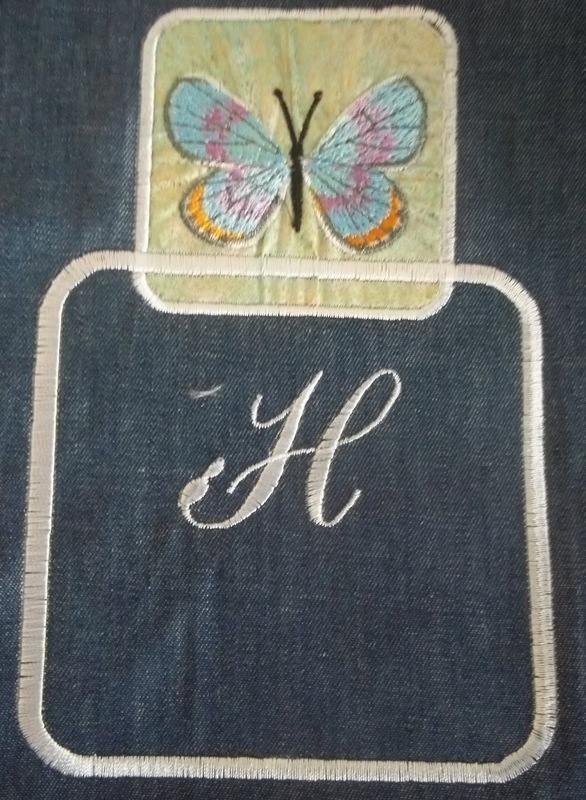 I have a favorite denim jumper dress, that features 4 framed embroideries, that is getting old (20+year old!) I would like to replicate the design on a new dress, so frames are something I really want to learn. I started with a pretty scrap of fabric, (left over from a dress lining) and pretty butterfly pattern. The next mistake was my insistence on using the mid weight stabilizer. It was too stiff for me to really get the fabric smooth with the stabilizer. Between the alphabets work and the frame work, I re-read the instructions for “backing up” when a thread breaks.. but I still didn't master it, and the butterfly has a few errors. Displeased with the first effort of the embroidered patch, I made a second, and used a ligher weight stabilizer. This resulted in a much better embroider. (lesson learned: the right stabilizer makes a difference! )The second patch is not perfect, but better. A bit of spray adhesive on the cut out patch, and a wider frame stitch (a simple satin stitch) and the results are a near success. 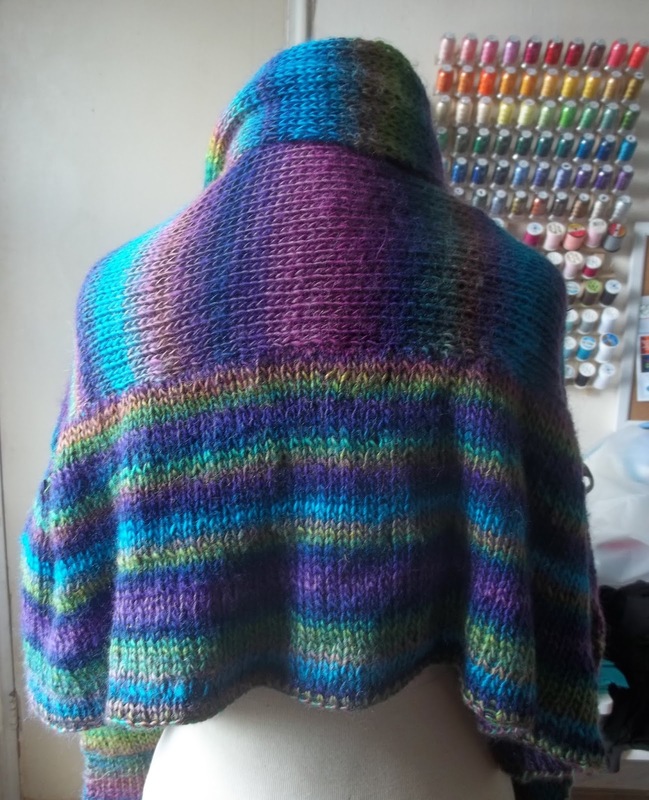 I wanted to see how big a frame I could make, and made an other empty frame at the 10 mm max—I know from knitting that 10mm =about 4 inches. I thought I move the position to start low enough.. but—working free hand—I realized almost immediately—not enough. There are tools to help position embroideries, I just need to put them at hand (and not stored away as I continue to learm. I am not an expert of frames (yet) but I feel the little bit of work (less than 2 hours, spread over 2 sessions) I have done making my sampler has taught me a lot. It has also given me a chance to make many mistakes! Glad the mistakes are on the learning sample, and not on any thing I value. I will continue working on the this sampler, and I know I will make more mistakes, but I also know I will learn a lot, and it is worth every minute. 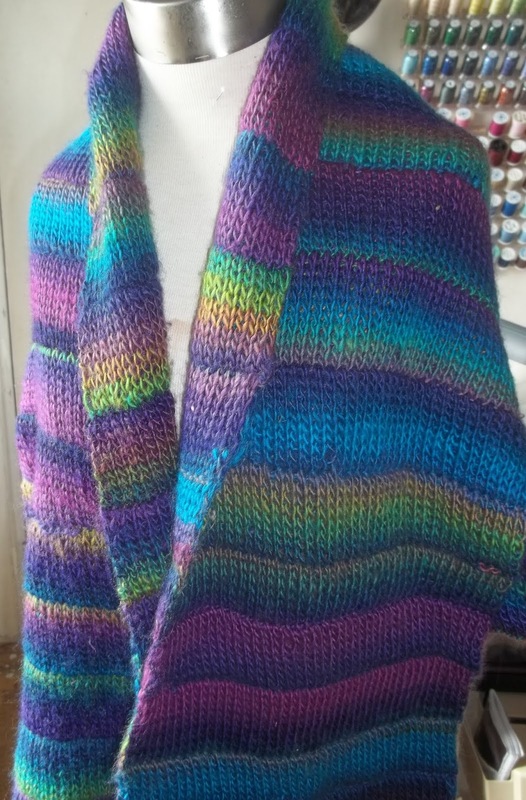 When I get better at this, I have lots of “blanks” to practice with—Aprons, napkins, pillow slips, amd plush terry towels. But that will be a while yet..
Another part of my learning is making a list of ideas of things to embroider—I don't want to just do the same things over and over.... I want to experiment with embroidery on hems, and on collars and cuffs, personalized details for appliques, and for framed embroideries, and tote bags. Eventually, embroidered quilts, and detailed personalized bed linens... I have a lot to learn, but I feel I am making a good, methodical start.